Welcome to Flambard Williams SmartSell™ – the smart way to sell your property. Our team believe in traditional customer service, with a modern twist. We are proud to provide our clients with a premium service, without the premium rates, vastly becoming the smart choice for selling property. The residential sales market has changed dramatically over the last 2 years, so what really is the smart choice? Unlike traditional estate agents, we won’t charge you extortionate fees for selling your home, our packages start at just £834 inc VAT. On average, local estate agents will charge 1.5% of the purchase price to sell your property. For example, let’s take a property worth £400,000 – that’s an extortionate £6,000. Our SmartSellTM team believe in one simple price from the start, so all we ask is, what will you buy with the money you save? A new kitchen, a holiday or even a family car? Our SmartSell™ team understand that selling your home can sometimes be a stressful and daunting process when you are faced with big commissions. 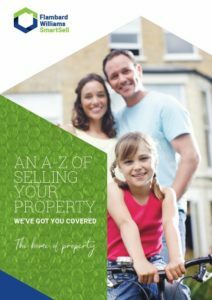 If you’re looking to sell your home easier, quicker and in a more cost-effective manner, we can help. 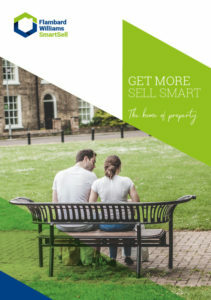 Sell your property the simple way and join many other happy Smart Sellers today. From the moment you decide to sell your home, you have a decision to make. Do you pay 1.5% of your property price, or a flat fee that will save myou thousands. Our prices are based around our three SmartSellTM packages; Bronze, Silver and Gold. We often get asked; “do we get the same service as you would with a high street agent.” The answer is no, you actually get a better one! 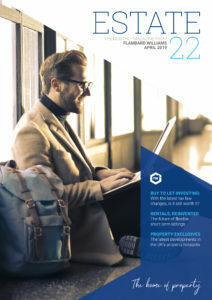 Firstly, we take professional pictures and market your property through the traditional routes using online property portals and local magazines and press, but more importantly, we also have our own loyal base of investors who are always on the lookout for property opportunities. If your property makes sense from a buy-to-let perspective, this is another route we have to sell your property. We are local to Chelmsford with experts who have lived in the city all of their lives, so you can expect their local knowledge to be second to none. Whether you are looking to sell your property for £60,000 or £6,000,000, we will provide the exact same high-quality service. With options for payment upfront or on exchange, we have something to cater for everyone. Most importantly, we can save you money! Our SmartSellTM process is simple and fuss-free, with our knowledgeable and friendly team covering all aspects of the sale, you have one less thing to worry about. 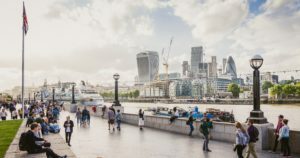 Once you have decided to sell, a member of our SmartSellTM team will visit your property to carry out a free valuation to provide you the market value of your property. If you choose to market your property with us, we will come to your home and give it the photoshoot that it deserves. After this, we will design your floor plan, along with a detailed description, uploading this to all of the major property portals, so you can rest assured knowing your home will be sold in no time. Once your property is on the market, you can count on our SmartSellTM team to handle any questions and enquiries that may arise. What’s more, we will take care of any viewing requests and conduct them when necessary, responding to any offers made and negotiating the best possible price for your home. We will also keep you up to date with buyer feedback and listing traffic, so you can always keep a track on how we are performing. Once we have found you a buyer, our SmartSellTM team will be there to guide you through the process and liaise between you and your chosen solicitor, ensuring the sale runs as smoothly as possible. Yes, we will give you the photoshoot your property deserves at no extra cost. Yes, our Head Office and Sales Centre is based in Lower Anchor St, Chelmsford. Absolutely nothing, but Flambard Williams will save you money. Yes, this is all part of the service our designated SmartSellTM provides. Yes, ask one of our SmartSellTM team for the recommendation that suits your situation best. Yes, we have this option available in our packages. allows us to charge a lot less! properties all over the UK, so just get in contact if you want to enquire about other areas. Simply fill in your details and we will get back to you.